Forced to settle for fourth in the Commercial Bank Grand Prix of Qatar, Valentino Rossi is left questioning his tyre choice. 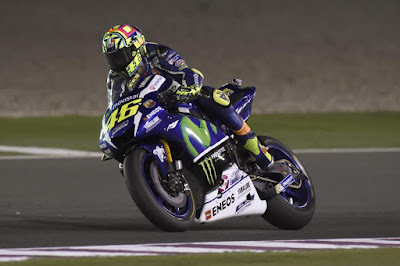 While his Movistar Yamaha MotoGP teammate, Jorge Lorenzo, opted to run the hard front and soft rear, Valentino Rossi chose the hard front and harder rear tyre options. After an initially strong start, ‘The Doctor’ was unable to keep the pace of the leading riders and despite some fast laps during the end of the race, was never really in podium contention. Rossi is unsure of the cause, but feels his choice in tyres may have played a role and that the soft tyre, like the one in Lorenzo’s Yamaha, may have been a better choice. The closing corners offered Rossi some hope as Marc Marquez (Repsol Honda Team) and Andrea Dovizioso (Ducati Team) battled and allowed him to catch up, but Rossi was just beaten to the line. 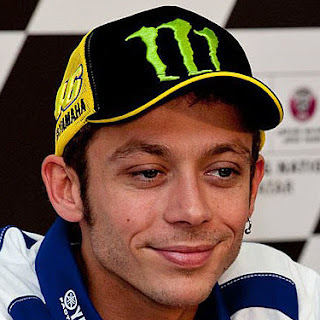 0.1s separated Rossi from a podium finish, he now prepares for the race in Argentina with a growing level of confidence. 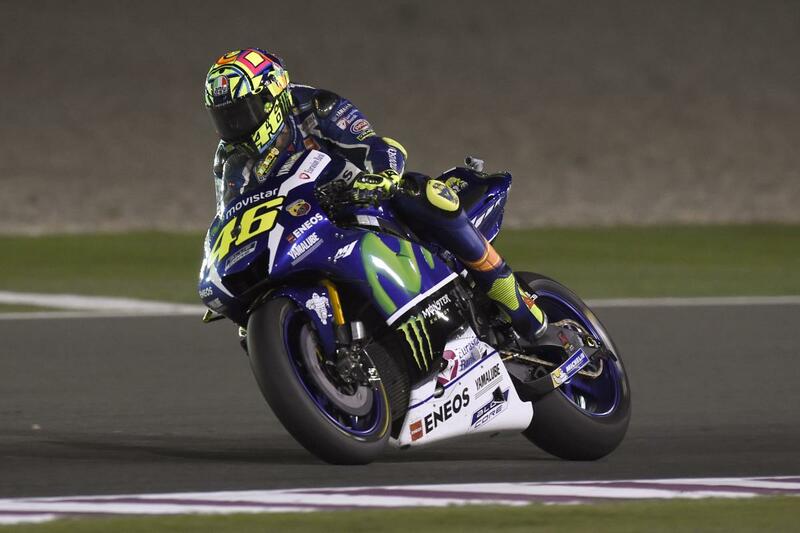 Thanks to Rossi’s fourth and Lorenzo’s first, Movistar Yamaha MotoGP lead the Team Championship with 38 points.